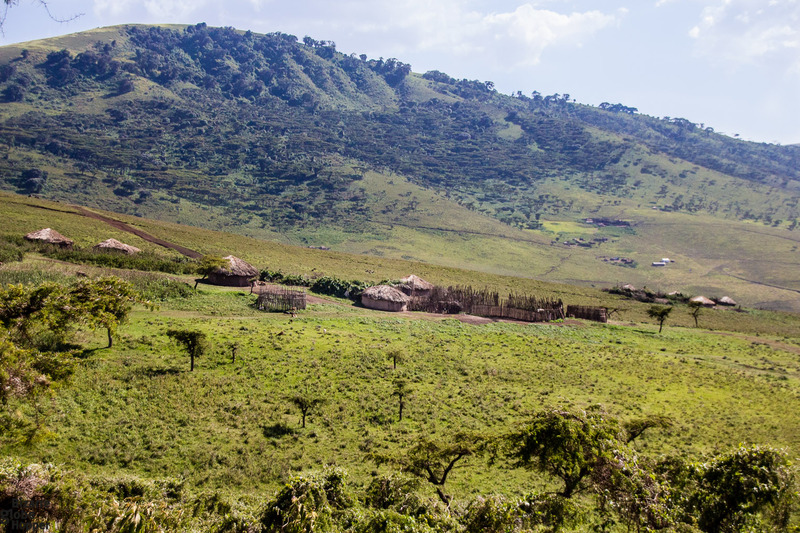 If you are heading to the Ngorongoro Conservation Area in Tanzania, visiting a Masai village is probably in your itinerary. 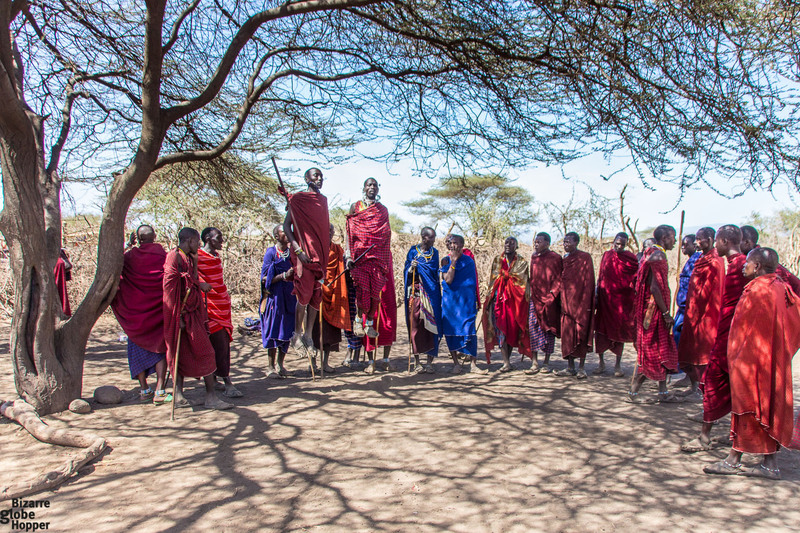 The Masai tribe may be the most famous of the indigenous tribes of East Africa and the most common tribe to visit, but it’s still an experience worthy of taking. 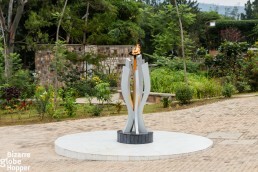 This post is last updated on the 9th of January, 2019. 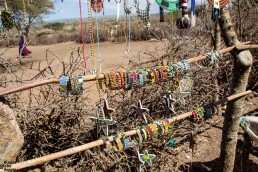 Included in most of the safari itineraries is a visit to one of the many Masai villages in Ngorongoro. Even if it’s not, I’d recommend arranging one for your safari. It may not be the most interesting tribal encounter to take, but it will be educational – in one way or another. 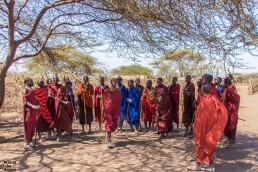 Our guide told us that there should be around 10 000 Masai people living in the Ngorongoro Conservation Area. At least, that is the precise amount the Tanzanian government has approved. But instead, there are almost 60 000 at this moment, which is way too much to bear for the environment. The number of the Masai people in Ngorongoro is a problem because the delicate ecosystem may not carry such an overburdening for long. 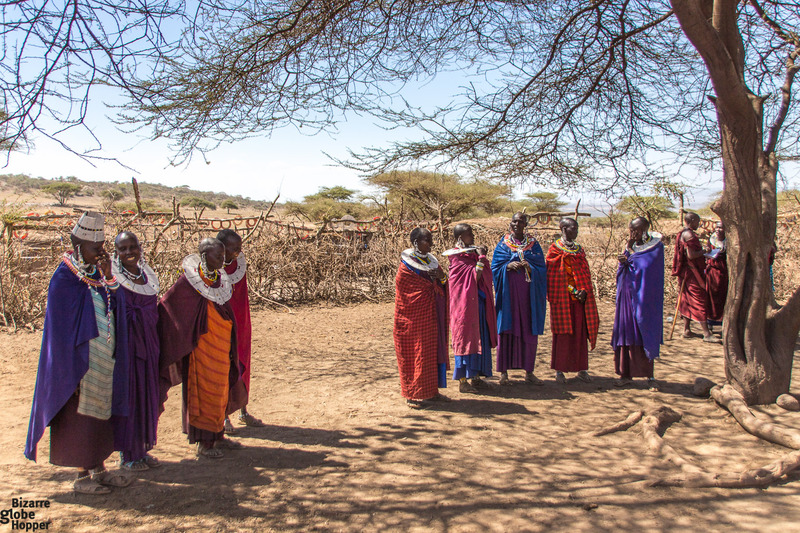 The Masai tribe are nomadic, and they still follow quite strict traditions. Only the men do the herding and women are responsible for cooking and taking care of the children. Just as in the ancient times, they still move along with the water. 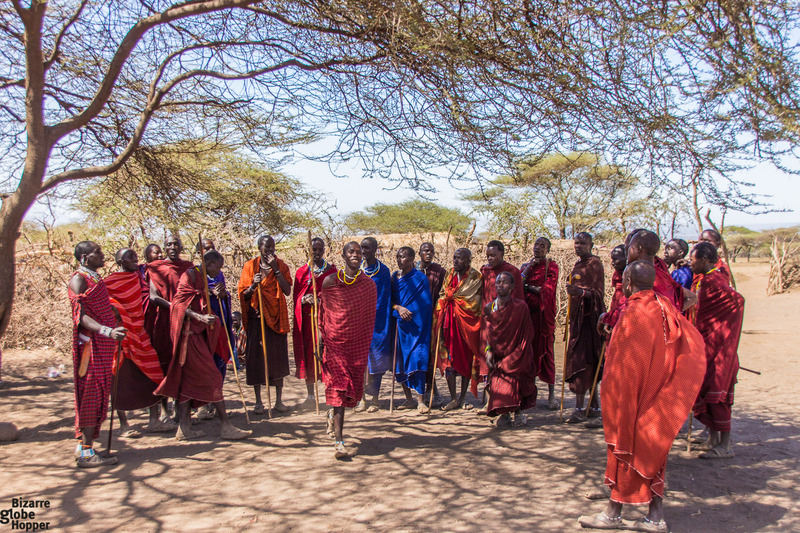 Outside the Masai village, the sons of the Village Chief waited for us and greeted us when we arrived. After our guide paid for us admission (50$ for our group of three, for a one-hour visit), a tribesman invited us to see the traditional welcome dance, performed by the Masai men in their colorful, iconic cloaks. The Masai men jumped high and chanted under the scorching sun of Africa, while we watched the show with interest. I say ”show” for a reason, because that was how I felt. The Masai jumping dancing is an integral part of the original Masai culture, but it was performed only as a slightly tired show for tourists. However, I still enjoyed it in my own way. After all, it won’t be every day that you’re in one of the most iconic National Parks of the world and meeting with its famous, indigenous tribe. After the first welcome dance, there was another dance. This time it was the original, traditional jumping of the Masai – where every man tries to jump higher than the others. The women of the village stood beside an akashic tree, wishing us welcomed to the town. These moments are somewhat annoying for me personally – traditions only allowed to men. I was not so interested in fitting a beautiful necklace and hanging out with the women. Instead, I would’ve wanted to try my jumping skills with the men. But because I’m not a man, that wasn’t possible. So, I settled on documenting the scene with my camera. You have to accept that you can’t always engage, unfortunately. Instead, you have to respect the culture and habits. You are only a guest, after all. Our local Masai village guide was one of the sons of the village Chief. He told us more about the Masai culture and traditions while we walked towards the village school. Even though I knew the Masai are polyamorous, it still struck as a bit odd to hear that our guide had 39 brothers and even more sisters. However, according to the tradition, only the men considered as rich can afford to keep more than one wife. This tradition makes polygamy possible for only a selected few. Also, every woman is entitled to have only one man, while every man is allowed to have several wives. Ancient traditions that don’t belong to the modern day, I’d say. After a while, we stepped inside a little, shaky house serving as a school. Our guide introduced us to a small class of various aged children sitting inside. 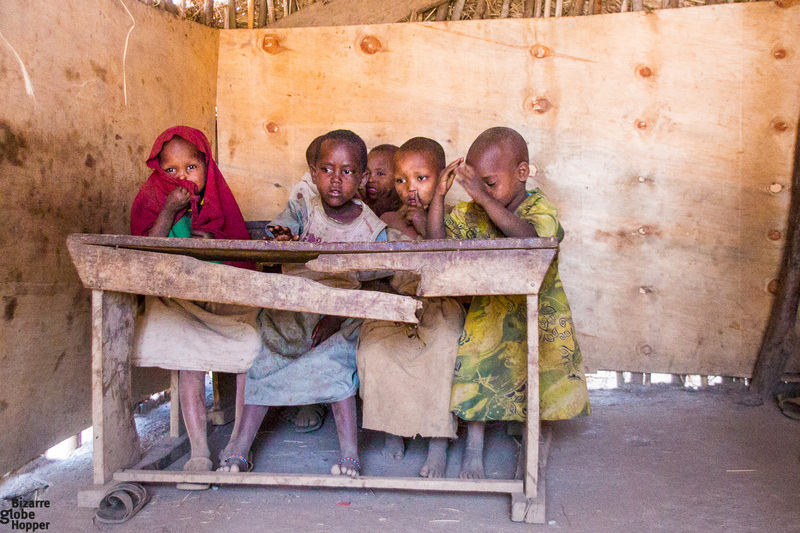 The children seemed a bit shy in front of our cameras, even though they receive several visitors like us every week. Few braver ones showed us their skills in counting in English, as well as saying some familiar phrases. The pressure from the guide was evident as he hinted several times towards the donations box during this short visit, which made me feel uncomfortable. In any case, I didn’t have any cash with me, and even though if I’d have had, I would’ve probably opted not to leave anything. So much this seemed like only a tourist show. Last in the schedule was a brief visit to a traditional Masai hut. Every one of us got our own host to go with, and we dived into the low shelters, very dimly lit even in the brightest daylight. 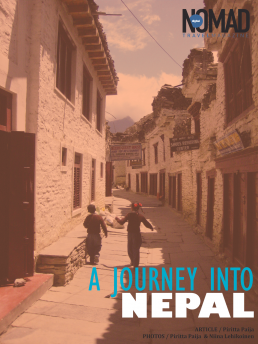 I sat almost on the ground level, listening to how my host told me details about his family, the construction of the hut, and their nomadic lifestyle. I even received a handful of curious questions myself. 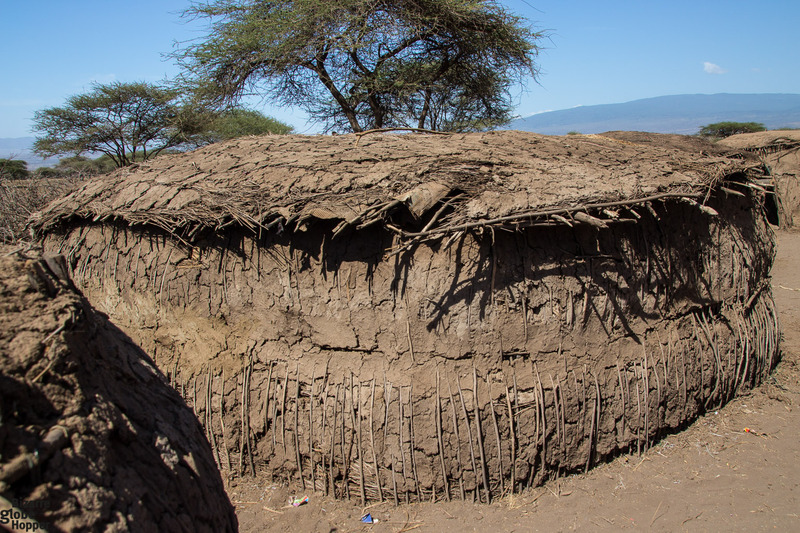 Did you know that it takes a whole month to build a Masai hut and it’s actually the women who build them? Men will only bring the supplies. They’re made out of the Acacia branches with cows’ manure and grass as insulation. 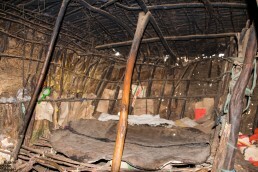 And as the Masai tribe moves many times during the year, following the water, they take the hut’s materials with them. The hut is built from new materials only once a year. The shed itself contains just a small spot for cooking and the separate sleeping areas, one for the husband and the other for his wife and the children. It’s also possible to arrange overnight stays in some Masai villages, but I realized that it still might be a bit too extreme – even for me. I’ve spent a night literally in the middle of the jungle in Nicaragua, over a half day’s journey away from the nearest town and mobile coverage, but I still admit that I couldn’t have handled a night in a Masai hut. But if you enjoy an extremity like that, just go for it! It’ll be something to remember, for sure. The end of the visit, unfortunately, wasn’t the best one possible. Some of the women escorted us straight to a ”market area” where the Masai people tried to sell us their handicrafts very aggressively. Don’t get me wrong; this part traditionally goes with every tour like this, and there’s nothing wrong with it. What was wrong, though, was the manner with how the Masai approached this opportunity. When we were not interested in buying their highly overpriced artifacts and politely refused, some individuals’ attitudes towards us changed pretty radically to worse. This rapid shift in their attitude just made us feel very unwelcome and we wanted to leave immediately. 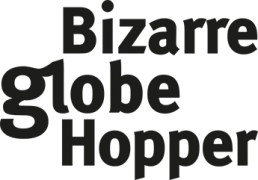 Don’t Fall For Buying the Rip-Off Priced Artifacts – Negotiate! Fortunately, few of the Masai people were more polite. After some negotiations with them, we even did buy a few pieces of jewelry to take home. It was just that the situation as a whole left a very sour taste. When you feel so pressured to buy, it doesn’t ever feel nice.  A sad fact is that these visits have become so commercialized, that there is little originality left anymore. 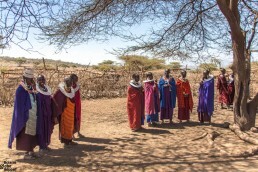 Visit Masai Village in Tanzania or Kenya? I believe every visit has the same pattern, and you can’t feel special anymore. However, there still can be Masai villages with a bit more traditional approach to visitors, I’m sure. I also think that the pattern is pretty much the same, whether the Masai village is in Tanzania or Kenya. 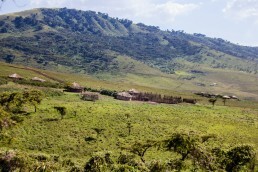 We did visit a more authentic-feeling Masai village in Kenya, in the Masai Mara Conservancy Area. That one was not a village usually visited by tourists, as it was a home village of one of our guide’s friends. I’d suggest asking for your guide to take you to an authentic Masai village and not to those that they usually take their clients. This request may show to your guide that you’re informed about the more commercial villages and they will want you to have a good experience. Hence they could take you somewhere else. Where ever you’re going to Africa, remember to check out our ultimate African Safari Packing List – a comprehensive list with a downloadable tick-off list about all you’re going to need on your African adventure! I won’t say that our visit was horrible. It was educational, and it made me think more about the impacts of mass tourism, as for how this coin truly has two, very different sides. Despite the bit sour ending, I would still recommend visiting a Masai village when you have the chance. 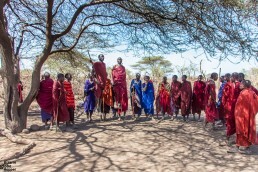 It may be the only way to see at least a little glimpse of the Masai culture. Just keep in mind what to expect and take as much out of your visit to a Masai village as possible. 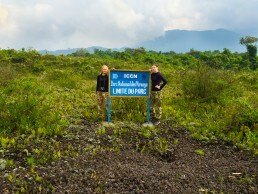 And while in Ngorongoro, you too can see things like we did – also many rhinos! *Disclaimer: We were hosted by Ombeni African Safaris while visiting the Maasai in Tanzania, but all our opinions are entirely our own.